As an affiliate marketer, being successful often comes down to playing a numbers game. Checking reports, comparing results, and refocusing your efforts to drive up your click-through rate (CTR) and earnings per click (EPC). That’s why it’s often so important to make sure you’re getting as much data as you can to drive your decisions and measure your success. Today, the data points that you can capture seem unlimited, but did you know that you can take things a step further and also curate data points from the clicks on a link? Traditionally, in digital marketing, you track your conversions by implementing a snippet of code, called a pixel, onto your website or a landing page that triggers when a user performs a specific action; be it clicking a button, or visiting a specific page. By doing this, you’re able to see who has landed on that page or completed an action that you intended for them to complete. This is extremely valuable information as it allows marketers to tighten their focus, and build “audiences” of individuals whose actions indicate that they are more likely to convert to sales. Social media marketers at companies like HyperX, who often work with social media influencers who frequently have a need to drive traffic from one third-party site to another, such as guiding followers from an influencer’s Instagram profile to their Youtube Channel. However, as mentioned before, tracking who clicked on that link is impossible with conventional pixeling methods. 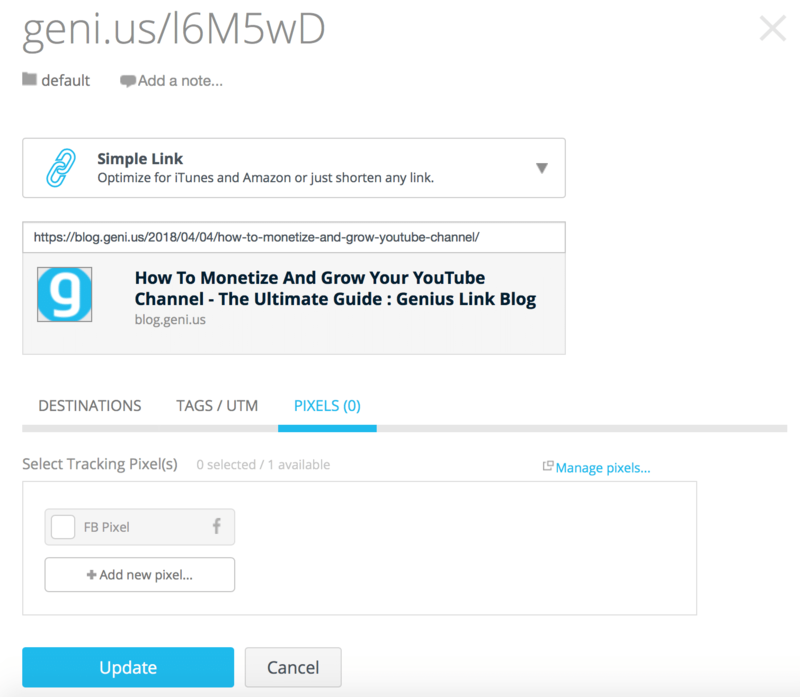 Fortunately, Geniuslink has made it possible to track the data (that before you could only track if you had ownership of the end destination) by empowering its users with the technology to embed tracking pixels within the link itself. How Can This Be Used By Affiliate Marketers? 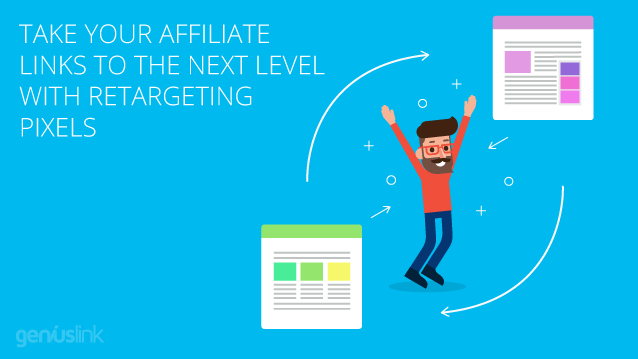 Affiliate marketers often come in the form of bloggers and YouTubers. For bloggers, this technology is designed to empower them with the data points needed to increase traffic to their blog. Your blogs are filled with affiliate links to various products that live on third-party sites. However, knowing who actually clicked on those affiliate links could prove helpful in directing others with the same interests to your blog and even specific blog articles. Here’s a simple way to think about this: A kid with a lemonade stand will make more sales selling lemonade to those who like lemonade than those who don’t. However, the kid running the lemonade stand doesn’t have the tools or the ability to find more people in her area like the ones who have told her that they like lemonade. But you do. Let’s say your affiliate blog focuses on makeup and you have one post in particular that goes through your daily makeup routine and lists all the products that you get ready with in the morning. If you were to put Facebook Custom Audience or Google Remarketing tracking pixels in every single one of those affiliate links you could then capture the audience that clicked those specific links. Once you have that data in Facebook, for example, you could then create a lookalike audience from that captured audience. Then using that specific audience you generated of interested makeup buyers you could then boost that same blog article on Facebook. This would empower you to get in front of others who have the same interests as those who have already expressed interest in your blog and clicked on and possibly purchased from your affiliate links in that specific article. Another way that you could utilize this is to use the captured audience off of each specific product affiliate link and then write a blog post speaking to that specific product, complementing products, and/or products in the same category. Then boost that new blog post on Facebook to the same audience that expressed interest in that product in the previous blog post. Both of these strategies pave the path to getting your content in front of an existing engaged audience and an audience that is likely to be interested and engaged in your content on a per blog basis. This is return, should increase your click-through rates (CTRs) on your blog posts, the CTRs on the affiliate links within the blog posts and your overall site traffic and engagement – all because you are putting your content in front of people who will be genuinely interested. If you’re a YouTuber, you can use the exact same methods, but the medium of the content is different. Continuously practice both of these strategies simultaneously on your blog or your YouTube channel and you’ll start to see some retargeting magic happening. Now, let’s walk through the technicality of getting retargeting pixels set up in your links. Under our previous pricing plan, pixeling was limited to our Plus and Power accounts, but under our new pricing structure, pixeling is available to all. Click the “Add a new pixel” button. Once saved, your pixel will be stored, and available when creating or editing your links. Navigate to the Links page in your Geniuslink account. 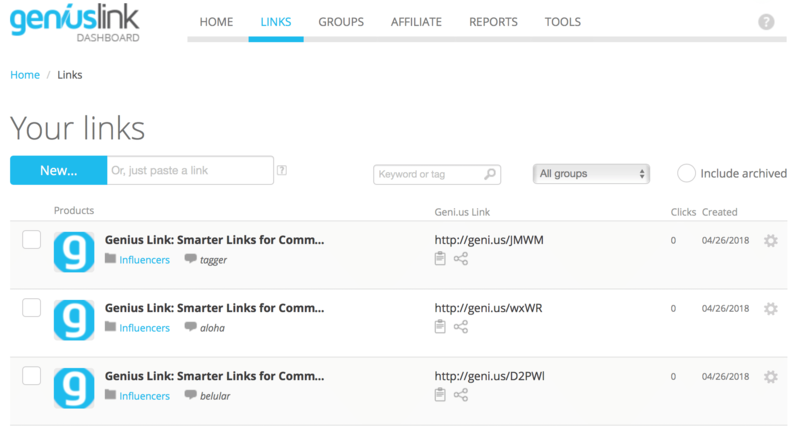 If you are building a new link, simply paste your new link into the link maker tool. Next, click on the “Pixels” tab. These pixels will now be fired each time someone clicks on your link. For more information on setting up tracking pixels in your links, visit our knowledge base article for a more technical deep-dive. Let us know if you’ve tried any of these strategies or how it works out for you when you do!